I had to catch myself. No, he does not know better. He, like all of us, was born with a sinful heart. If gone unchecked that sin is ready to show itself at every possible opportunity. I also had to remind myself: That kind of disrespect most certainly is part of our home – because our home is filled with sinners. Parents, we have to expect our kids to disobey. They do not come to us as perfect little angels and they don’t come to us neutral. They come to us with a heart problem. And God has given us, their parents, the job of training those hearts. My son was not off the hook for his disrespectful answer – but more importantly, neither was Mommy. I had a job to do. My son was doing what came naturally to him – disobeying. It was up to me to show him how to obey. Most Christian parents would claim to have high expectations of obedience for their children. It’s easy to forget that the burden of those expectations falls on us as the parents. 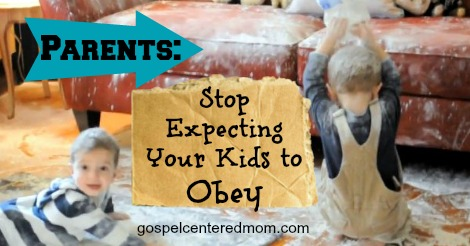 Expecting our kids to obey starts with expecting ourselves to do something about their disobedience. They don’t know better. We do. But, no, he doesn’t. That’s why he has Mom and Dad. We are his beacon in the darkness, showing him the way to life and peace. I need to be prepared, not angry. My training should always be done in gentleness and patience, knowing that my son and I share the common problem of sin. If my Savior was tempted in all things as I am so that He can show me grace (Hebrews 4:15), how could I not show that same grace to my son? That doesn’t mean excusing sin, but handling it with gentleness. 2. Oblivious parenting. At a birthday party a couple years ago I saw a mom tell her son not to eat anymore cookies. She went back to talking to her friends – and he went right back to eating cookies. Do we sometimes expect our kids to obey, but don’t expect ourselves to have to put forth the necessary effort to train them? It would be nice if giving an order was enough, but it’s not. We have to show our kids how to obey and be ready to show them what happens when they don’t obey. These are training years, parents. We are in the trenches. Yes, we will miss out on conversations with our friends. We might have to suddenly hang up the phone or pull over the car. We have to parent with the expectation that our kids will disobey and it is up to us to step in immediately and train them. Obedience does not happen naturally. There is a beautiful parallel between God’s parenting and our parenting. God knows we are sinners, but He does not treat us as our sins deserve because we are His beloved children (psalm 103:10). However, if He lets our sin go unchecked, He would not be a loving Father. He disciplines out of love (Hebrews 12:6). When we expect our kids to disobey we are able to strike that balance of grace and discipline. We should not get angry and frustrated, but we must also not become passive. Do you have a short fuse when your kids disobey? Remember that they are sinners in need of grace, just like you. Do you take a passive approach to parenting, assuming your kids are obeying you, or at least obeying “good enough?” Remember that they are sinners and sin requires action. Since they are too young and foolish to handle it themselves, their precious lives are in your hands. Follow me on Facebook for daily encouragement and anecdotes from my crazy life! Looking for the perfect Christmas gift for a young mom’s stocking (or maybe even your own)? 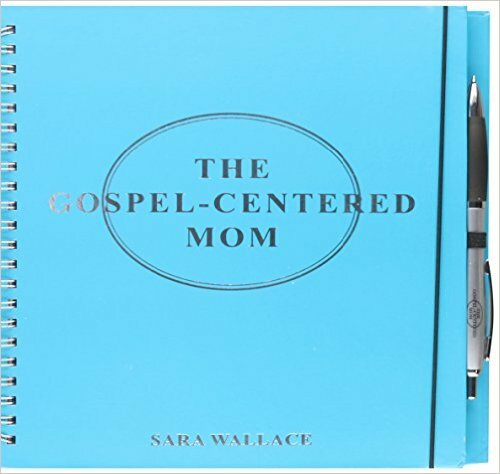 Grab your copy of “The Gospel-Centered Mom” here! This was absolutely perfect and useful! I was just sharing this same sentiment with my sister. 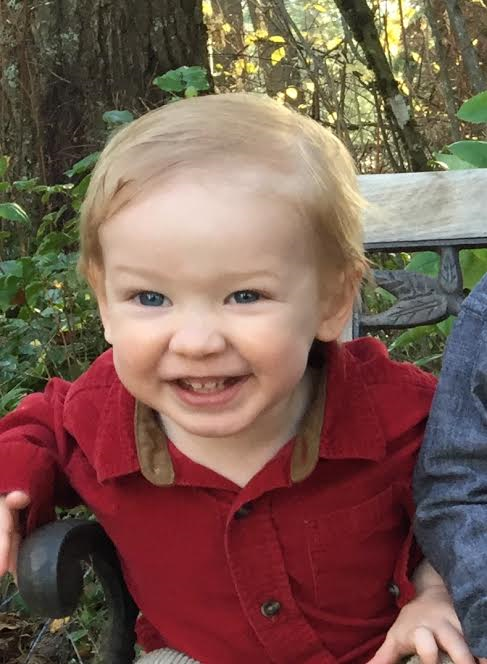 I am now a grandmother and don't know whether I had this clarity when I was a young mom. I definitely will share. Thanks, Barbara! I'm so glad it was helpful. This is a great article. The difficult part is determining what is the best form of discipline. I really appreciate this article but I'm left desiring an answer to the big question….what next? How do we teach them to obey? I've tried time outs, spankings (on occasion), taking away privileges, and lecturing. Nothing seems to work…for my 2 1/2 year old. What else do I do to help her understand obedience? That is a great question. My motto is, “Consistency over creativity.” Even if it doesn't seem to be “working,” stick with the basics and be as consistent as you can, rather than changing up your discipline plan every day. Training is a slow and steady process and you might not see results on a daily basis, but you will see results in the long run. You will discipline for the same thing a thousand times and suddenly you'll wake up one day and think, “Wow, he hasn't done that in awhile!” At 2 1/2 your son is still learning. Keep up the good work! Don't second guess yourself too much. Keep plodding away. Your discipline is planting seeds, but God is the one who causes the growth. I am in tears right now because I desperately needed to read this tonight. We have 4 children ages 5 and under. The first 3 are boys, and I've been feeling like I'm hitting a wall. My fuse has become shorter, and I've spentany nights weeping and praying for God to help me. 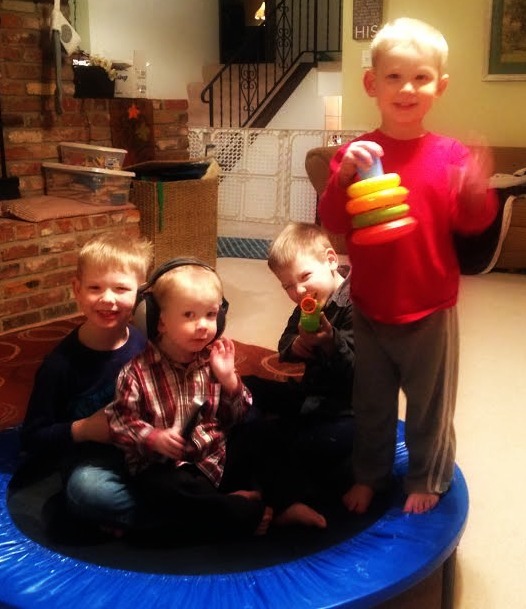 Reading your post has reminded me to remember that my children are sinners just like me. I can't expect them to be obedient. I just need to faithfully teach them and allow God to work on their hearts.